A long-time favorite in Japan, Aloe vera yogurt by Morinaga Nutritional Foods, Inc. is the first product of its kind to be sold in the U.S.
TORRANCE, Calif.--(BUSINESS WIRE)--ALOE THERE! 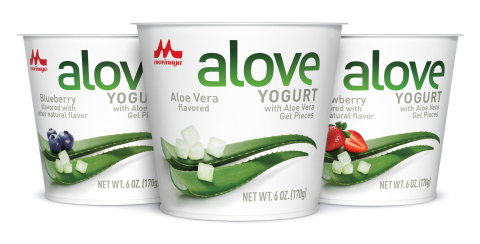 Market leader Morinaga Nutritional Foods, Inc. is pleased to announce the first phase of its U.S. rollout of ALOVE Japanese-style Aloe vera yogurt. This is an entirely new yogurt experience for U.S. consumers, and sure to create fresh excitement in dairy aisles. ALOVE is a kosher-certified yogurt that offers a good source of protein and calcium, with no artificial flavors. It’s made from locally-sourced, Grade A California milk, contains zero high-fructose corn syrup and is certified gluten-free by the Gluten-Free Certification Organization (GFCO). "While Aloe vera yogurt is new to the U.S., it has been a favorite in Japan since Morinaga introduced it over 20 years ago," said Imanishi. "With yogurt sales growth slowing here, we saw the opportunity to bring a new yogurt experience to American consumers and reinvigorate the yogurt aisle." Morinaga uses a proprietary process to remove fresh Aloe vera gel from the Aloe vera plant, leaving only the best and tastiest parts. The delicious, succulent morsels are then mixed into a silky smooth, Japanese-style yogurt. ALOVE is currently available in three flavors including original Aloe vera, strawberry and blueberry. Morinaga debuted ALOVE at Natural Products EXPO WEST in March 2017, and will formally announce plans for the first phase of the U.S. rollout at the International Dairy Deli Bakery Association (IDDBA) conference in June 2017. To learn more about ALOVE, visit www.aloveyogurt.com. Morinaga Nutritional Foods, Inc. (MNF), a subsidiary of Japanese dairy giant Morinaga Milk Industry, Co., Ltd, is a manufacturer of soy and dairy products based in Torrance, California. The company produces the popular Mori-Nu Silken Tofu brand, a line widely sold across the U.S. and around the world, as well as the industrial and food service ingredient Silken Soy Puree. Its soy products are sold in a unique aseptic package that protects fresh tofu from light and bacteria, allowing for a long shelf life without the need for refrigeration and use of preservatives. The Institute of Food Technologists voted Morinaga’s packaging "The #1 food science innovation of the last 50 years." For more information, visit www.morinu.com. 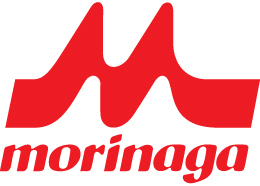 For information about Morinaga Milk Industry Co., Ltd., visit www.morinagamilk.co.jp/english.